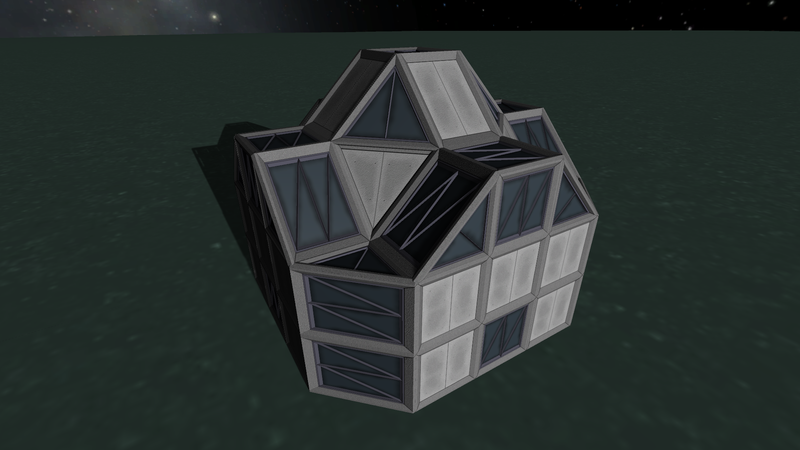 I've put together a selection of parts meant for the building of bases on foreign bodies. Designed to tesselate on a cubic grid and represent a more permanent foothold. Configs provided for MKS, Near Future Electronics, Community Tech Tree, and Connected Living Space functionality. Heavy parts, may benefit from Ubiozur Welding for structural Integrity. Reasonably light weight otherwise, tried to keep computer resource usage to a minimum. Added provisional Pathfinder configs. Will reconfigure parts to swappable Pathfinder modules and remove USI swappable modules if Pathfinder is installed. I'd like to thank dboi88 for answering some my questions when I was getting started. Physics load is definitely not your friend. I briefly tried Ubiozur Welding but I'm not patient enough to figure out how to use it. Grabbed KJR and works perfectly. When I complete my Duna colony I'll take some screen shots. Pathfinder configs would be AMAZING. Congrats! Reminds me of blocks in Space Engineers. Maybe some curved top blocks for dome habitats? Hmm, could try that. The current set was designed to be fairly lightweight (only 3 sets of 1024x1024 textures for all main part textures with a decal for each functional part), and I suspect rounded would require more, but I've also been considering more detailed parts (i.e. not just the polymer panel and a sticker), which might include at least a dome for a nuclear reactor, so it's possible I could do rounded parts too. I confess I don't know what Pathfinder is, but I shall I take a look and see what can be done. Speaking of stickers, I know there are lots of USI functions missing (i.e. all of the industrial stuff). Anything particularly sorely and I'll sort out one of the basics. I've added in some very simple Pathfinder configs. I don't have a good feeling for how Pathfinder works as a hole though so I have surely missed something. If anyone more familiar wishes to take a look and report desired changes here or on Github I'd appreciate it. Could you add configs so that USI LS works without MKS? (not sure if this is already true or not ). @Kottabos did a review of this mod! Would you like me to add this to CKAN? That would be smashing, linuxgurugamer. I tried to do a PR myself, but I fear I messed up. Any cooperation you need? This is when you KNOW you've done a good job! I'm happy for you bud. A very pleasant surprise, yes. Thank you @Kottabos. edit: That Terran Command Centre makes me very happy. 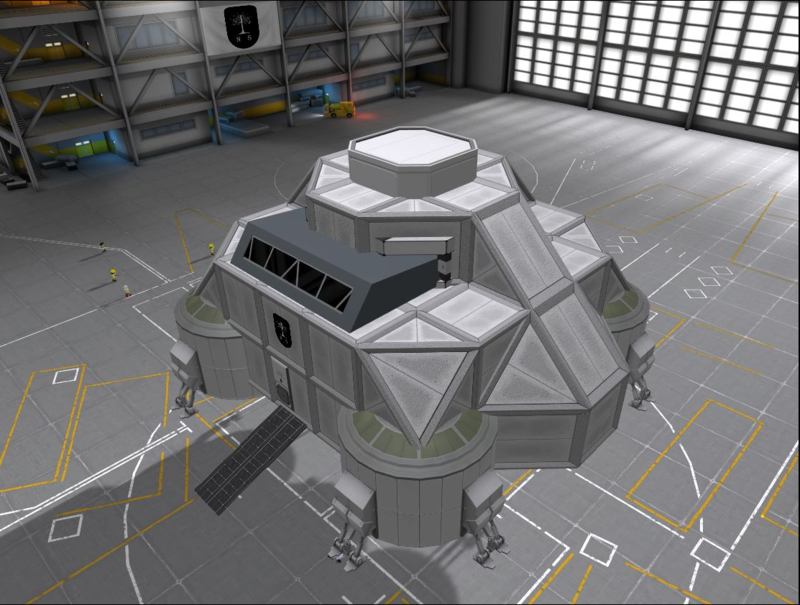 Kerbal Space Engineers. My obsessions have been combined into one! @Sassenach: Would you mind if I incorporate your mod into my story? Also, are you planning any IVAs for the mod? Heck, I'd be interested in making some if that would help. This mod is fantastic! Yup, definitely. I could make some adapters to fit inflatables to the Firma parts, write some config files for it, and IVAs if needed. To the first, please do. To the second, they are not presently in the pipeline, but I should like to take a look eventually. Everything I've read suggests they're rather a pain, though, so I may put off learning how to do them and work on less daunting additions before I take a look.If @Angel-125 would like to make IVAs I'd be happy to incorporate them, I doubt I could make better. That said I should like to learn how to work them myself. 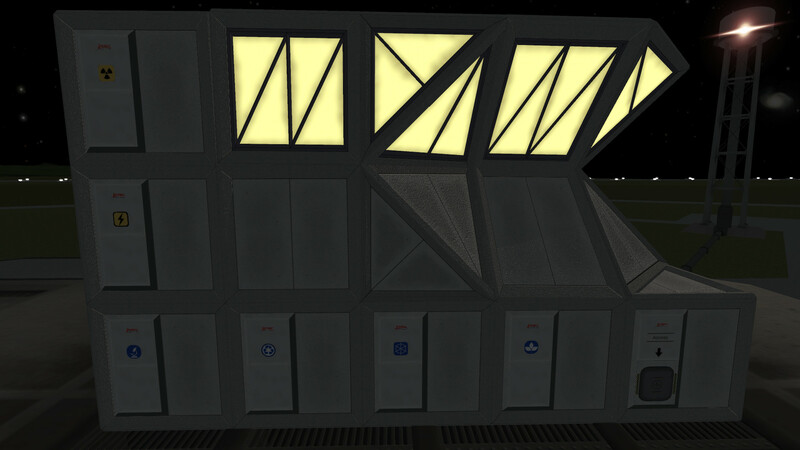 I suspect what would be needed is a basic unwindowed cube 'command centre' for any functional part that has crew space, and an IVA for each windowed geometry piece.